If you are looking for one qualified supplier to develop your plastic industrial parts, Dakumar is what you are looking for on turnkey molding production lines. We provide customers with Turnkey solution for industrial pallet injection molding line, and other industrial garbage bin, industrial container molding lines. The plastic industrial pallet injection molding line including machines, molds, hot runner system, auxiliaries etc. We always offer our customer with best possible service, reasonable price and most best quality to meet individual needs. So until now, we have successfully set up more than 60 turnkey projects to all over the world. 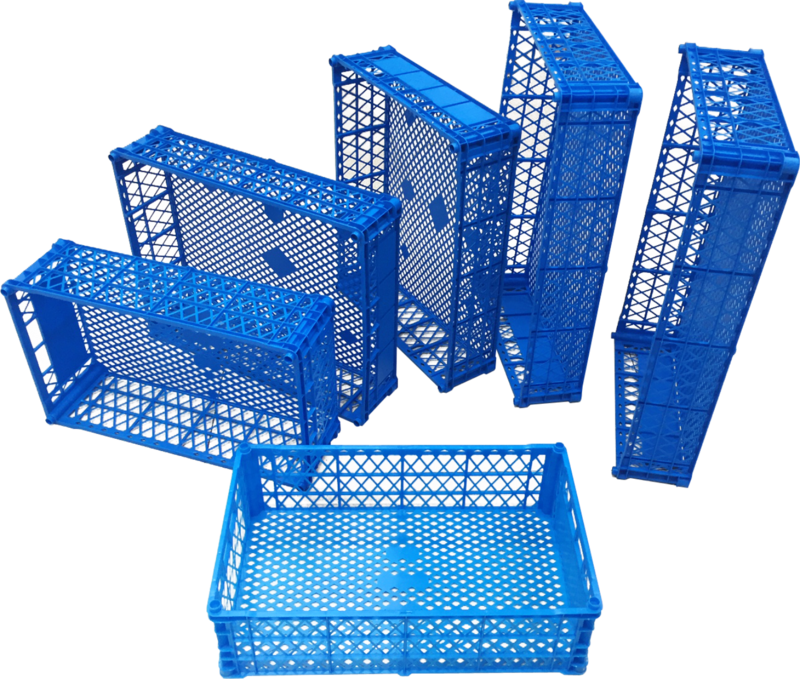 We can do tailor-made for you in different kinds of industrial plastic pallet. 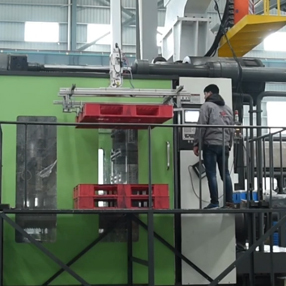 The following is one of our example for plastic pallet injection molding line. Mould feature: this pallet mold is complex on mold structure, adopts valve gate hot runner systems. The filtration system design allows the recycle material injection molding, optimizing the injection cooling system, close to the mold high speed injection molding. To suit our pallet molding lines, our Dakumar molding machine is stable, high efficient and also with lower hydraulic system noise. DKM provides a new conception of injection molding, High speed, High efficiency, High safety, High precision and High energy saving. All of our parts are from brand-name products. Like the controller is KEBA made in Austria, the electronic ruler is NOVO made in German, the Hydraulic Motor is STF made in UK, ect. We can provide customer with comprehensive pre-sale consulting, know the customer’s needs and provide customized services. Our engineers will assist you on design and consulting services, recommend the actual needs like raw materials. We aims to offer you with comprehensive technical support for whole production line equipment, with economic and reasonable program. 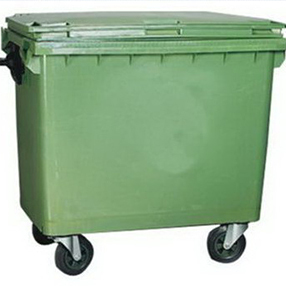 Also we guarantee delivery in accordance with the contact for your timely delivery. You can enjoy free services during quality warranty period, and we support to offer service 24 hours online an on your factory spot. 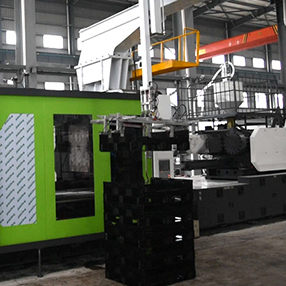 If you are interested in Industrial Pallet Injection Molding Line, pl feel free to contact us. We will offer you the best solution for you.